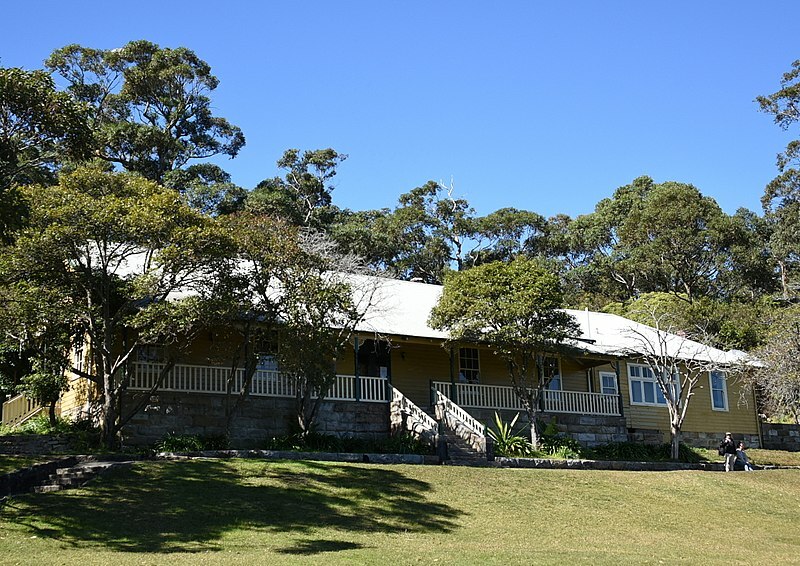 For those who like to take their views in a bit of isolation, there is a wonderful, lesser known walk alongside Sydney Harbour to tempt you with a little insight into Hidden Sydney. The one time you can guarantee you will be crowded here, is on 26th December each year (Boxing Day) at the beginning of the rigorous 965km (600 mile) Sydney to Hobart Yacht Race that fills the harbour with every type of marine vessel, as well as the competing yachts. Viewing the start of the Sydney Hobart Yacht race is an unforgettable experience, but one that you will have to share with many others no matter what vantage point you choose around the harbour on that day. But on nearly every other day, here on this lesser known Sydney adventure, you have this Hidden Sydney view to yourself. 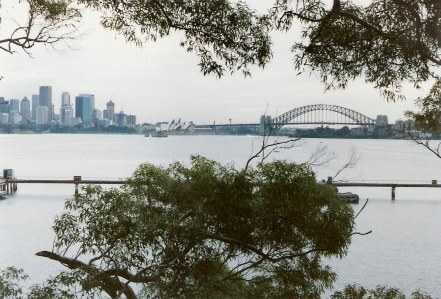 This local’s secret walk can be reached by car from Bradley’s Head Road, Mosman, but why would you go by car, when part of the magic is to take the Taronga Park Zoo ferry from Sydney’s Circular Quay (pronounced KEY)? The Zoo itself is a recommended attraction – but maybe on another day. It’s a bit surreal to be taking this walk in the very early morning or at dusk. 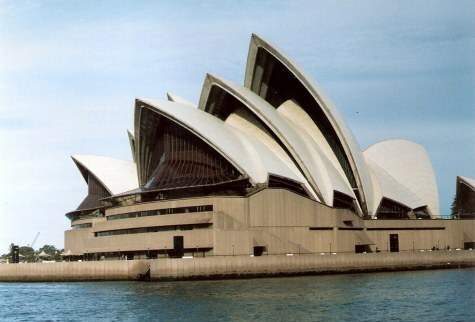 As you look across Sydney Harbour, at these times, in this cosmopolitan city you can hear lions roaring. 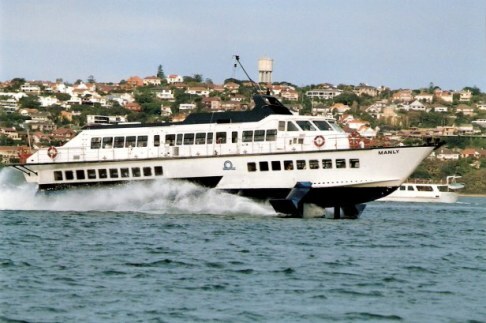 In your Hidden Sydney adventure, having taken the ferry, you let your fellow ferry passengers either take the bus from the ferry jetty or walk up the hill to the Zoo. The pathway passes that grand old dowager Atholl Hall – once a very grand mansion. It now has a small café where you might want to collect an ice-cream for the walk. Allow enough time for the peacefulness of just absorbing the views of the Sydney Harbour Bridge in the distance. From here you also have a great view of the harbour traffic, passenger liners, yachts, freighter ships, and the Manly Ferry and Hydrofoil. 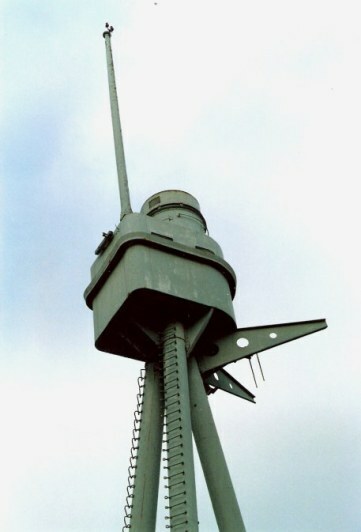 This Hidden Sydney adventure includes the tripod foremast and fire control tower of the 1st Australian ship to be named HMAS Sydney (there have been five). It sits on the point, safer here than being mounted on many of its namesakes. This first HMAS Sydney famously sunk the German naval ship Emden in 1914, later going down with all hands from damage suffered from the German warship. Although no trace of this HMAS Sydney or her crew was ever found, by contrast, most of the German sailors survived, were rescued, interrogated – and their stories not believed. Instead, there were all sorts of conspiracy theories to justify the unlikely story that it must have been something mysterious that caused the sea to swallow so many lives without trace. These were later proven false by historians but this meant that there was no search for the Austrralian ship or remains of her crew. HMAS Sydney wasn’t found until 66 years later. In 2008, its location finally confirmed the accuracy of the German accounts. The superstructure was originally installed on the headland in 1934 as a memorial specifically to the sailors of HMAS Sydney, but was later rededicated to the lives of all sailors lost at sea. It is a thoughtful and somehow very fitting place for such a memorial – with stunning views back to Sydney. Nearby is a stone block that was once part of the foundation of the early Sydney General Post Office, fondly known as the GPO. 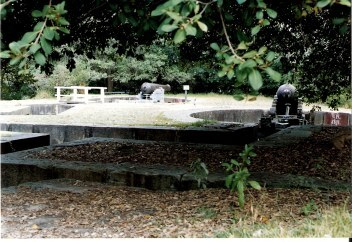 When a new GPO was built, this was installed here to mark exactly one nautical mile from Fort Denison. It allowed an accurate speed measure for newly built ships on their sea trials. 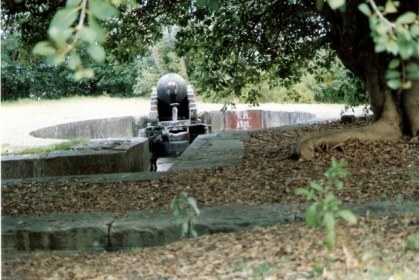 Further along – almost hidden in the bush is a hidden Sydney sight most locals are unaware of. 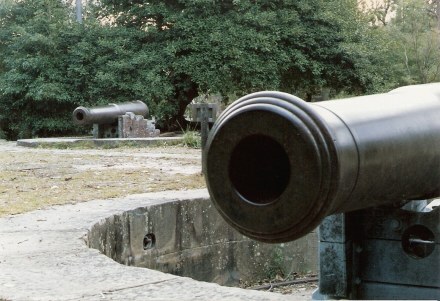 These are the gun emplacements built to guard the inner harbour in the reign of Queen Victoria. 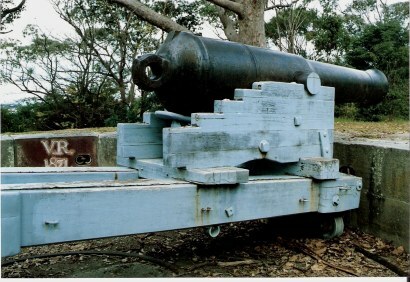 They were built in response to a perceived threat to the newly rich British outpost when the penal colony of New South Wales responded to the threat to their homeland from the Crimean War. The locals were paid 10 shillings per stump for every stump they removed to clear the space. These were in turn mounted on circular rails. 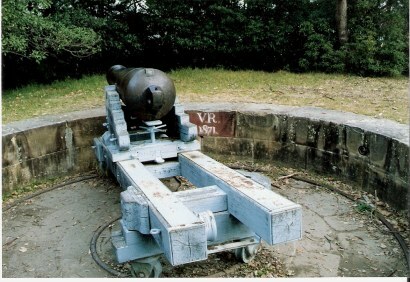 In the photo below you can see the carved date under “VR” (Victoria Regina – Victoria’s reign). 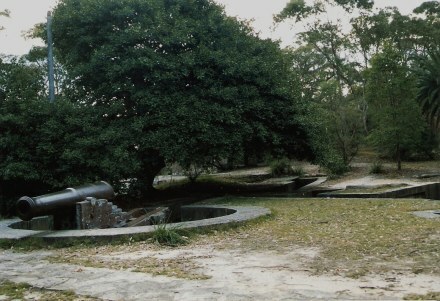 There are three gun emplacements, as well as tunnels and a firing wall, and the jetty from which the garrison soldiers would have alighted. 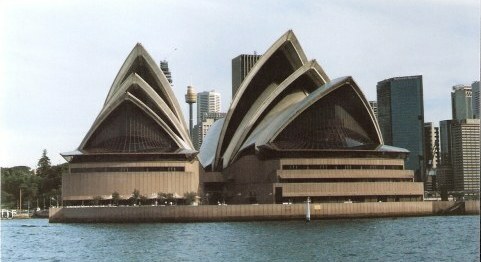 Your secret Sydney walk continues around the harbour. There are isolated benches on which to sit and take in the views. Here, the Manly Hydrofoil seemed so close. It is one of those walks that tempts you onwards. You can swim at Clifton Gardens (it is within the Harbour Shark Netting) before heading back again by ferry around the Opera House. 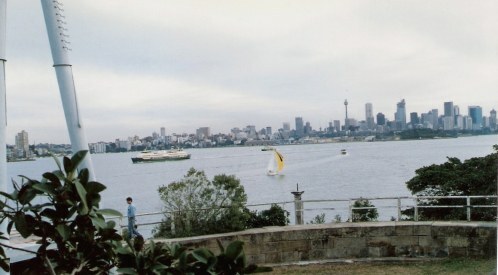 Clifton Gardens has been a much loved North Shore locals’ picnic spot since it opened on Christmas Day 1863. It's not a part of any secret to those living nearby, but to many who live in this vibrant city it really is a bit of secret Sydney even they haven't discovered. To end a perfect day of exploring what locals know to be one of the best viewing places on Sydney Harbour’s north shore, return to watch the crowds around the Sydney Opera House. Seeing this mass of colourful humanity having their own Sydney experience, from my ferry I always think back on a day spent in solitude with my camera -surrounded by the bush on one side and the ever changing harbour on the other.